Morning oatmeal made scrumptious by substituting tea for water. Bright berry flavors and rich chai brews compliment the oats especially well. Brew your favorite tea as usual. 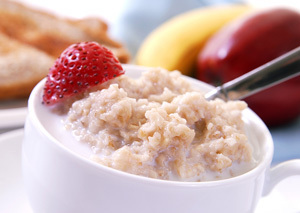 Make oatmeal according to package directions, substituting tea for water. Garnish with fresh berries, cream or brown sugar.